The Shira Route is a difficult route that begins in the west, at Shira Gate. What is unque about Shira is that the first section of the trail is not hiked, but rather driven. 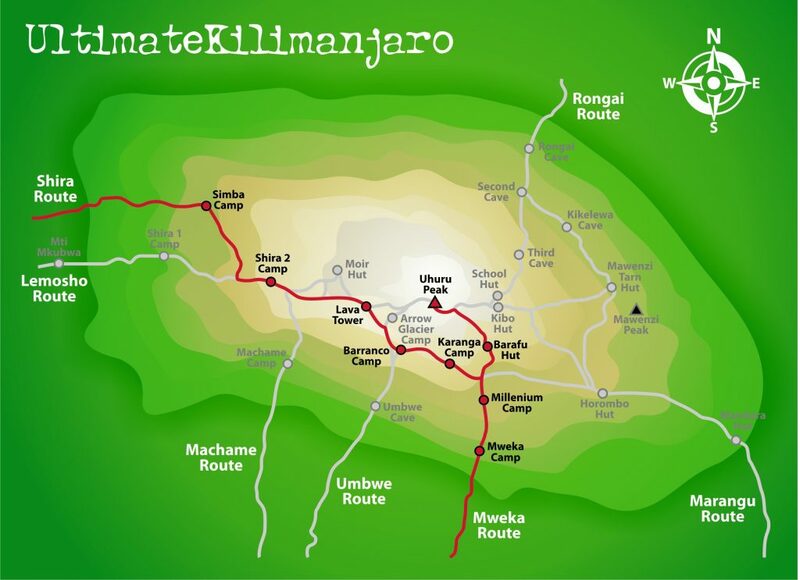 Therefore, climbers using Shira will miss out on hiking up one of Kilimanjaro’s ecological zones, the rain forest. 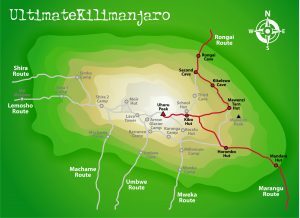 Below is a map of the Shira route on Kilimanjaro. An off road vehicle transports climbers to the Shira gate, located at 11,500 feet, where the hike begins to Simba Camp. 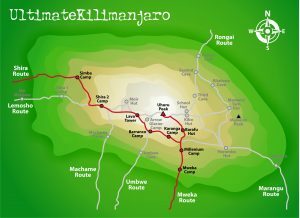 This is a sizable altitude gain for someone who slept at Moshi or Arusha on their previous night. 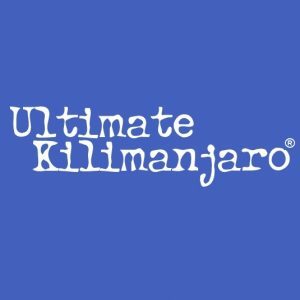 Complications from altitude can occur due to failed acclimatization. The route takes six days minimum to complete, although seven days is recommended. The descent is down Mweka, in the south-east. 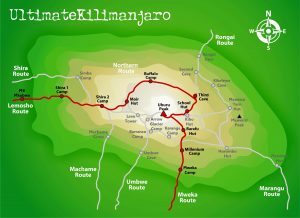 Because the starting point is far from Moshi and Arusha, it is more expensive to climb this route due to the added transportation cost of getting climbers to the gate. Scenicaly, Shira is beautiful because it crosses the spectacular Shira Plateau, and then combines with the Machame route to share its viewpoints around the southern circuit. Shira has low traffic until it combines with Machame. Shira is ideal for those who are confident in their ability to acclimatize to altitude, and to walk over steeper paths for extended periods.